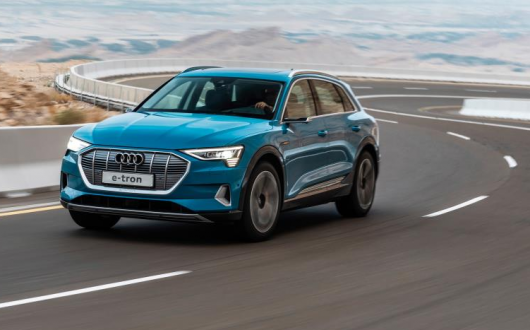 Audi’s much anticipated new electric SUV – the Audi e-tron – has arrived in Ireland, with the premium carmaker’s first fully electric model now available for test drive. Designed to offer a powerful synergy of style and optimal efficiency, pre-registered customers will be the first to experience the future of Audi’s sustainable automotive technology. Prospective customers who have not pre-registered are advised to contact their local authorised Audi dealer to make an appointment for a truly ‘electric’ Audi test drive experience. A new generation of the quattro drive, the electric all-wheel drive, ensures excellent traction and dynamics. It provides for continuous and variable regulation of the ideal distribution of drive torques between the two axles – all within a fraction of a second. For further information and to experience a unique Audi E-Tron test drive experience visit your local Audi dealership today.